Long time follower, first time posting. Rick Hallowes here in the delta region of California. For the last 16 years I have been flying and instructing folks in the sport of Powered Paragliding for a company called BlackhawkParamotors. I own and fly six different versions. I have been storing one of my older machines for 14 years for the purpose of mounting it onto a mini. The motor on this unit is a Verner Hellcat 360cc. This is a two cylinder opposed, dual overhead cam, dual carb putting out about 40hp. 3 years ago I became a member of the Gold Prospectors Association of America as I was bitten by gold fever. I live in the foothills smack dab in the middle of the Motherlode gold district. Many of the areas that I prospect are reachable by hiking along streams that would also be accessible by a mini. I am 68 yrs old and its time to make getting to my claims easier. 6 yrs ago I mounted one of my rigs on a 11ft plastic Coleman Crawdad just to see if the conversion was possible. (see attachment) Did ok till about 15mph, but without proper steering setup, that was my limit. It is now time to find a lightweight mini around 12' ( new or good condition used) that I can mount my Hellcat on. 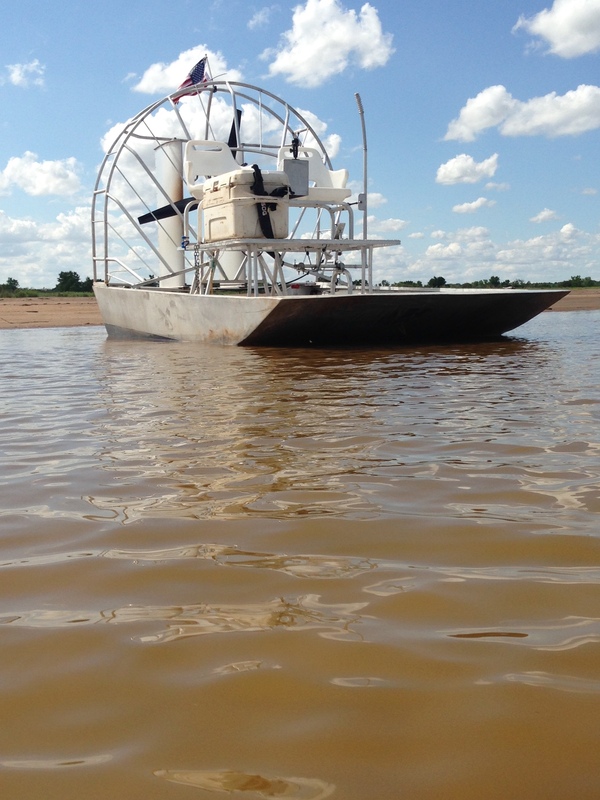 Also, I would like to make contact with any airboaters here on the West Coast. As I am new to this, I would like to talk to folks and up for any suggestions. Is packing an inflatable an option? Fly in and then inflate ? Chuck Rackley 352-330-1015 - Tell him I sent you. Man has built minis, ecotecs, aircraft, and big power car motors. He is retired now and is a wealth of knowledge. He will probably send you to Marty Bray to get a good glass hull for your toy. Might want to contact peariverpossum on here. Kenny Hughes and his dad are building a light weight aluminium hull for Rotax motor setups. Last edited by papajack on Tue Feb 28, 2017 10:25 am, edited 1 time in total. Batflyair lets see some videos man!! I like it. Just finished my simonini powered mini. kwanjangnihm wrote: Batflyair lets see some videos man! !